For performance, ProSupps’ new Dr. Jekyll comes with 1.6g of beta-alanine, 1.5g of creatine HCl, and 800mg of an ingredient we haven’t seen before called nooLVL. The brand describes nooLVL as a pump and focus combined super-compound that is technically listed as inositol enhanced arginine silicate. You then have the focus blend of 250mg of tyrosine, 200mg of lion’s mane, and 150mg each of alpinia galanga and celastrus paniculatus. There is also an adaptogen matrix in the mix with 125mg of Sensoril branded ashwagandha, 30mg of grains of paradise, and 5mg of the absorption enhancer black pepper. 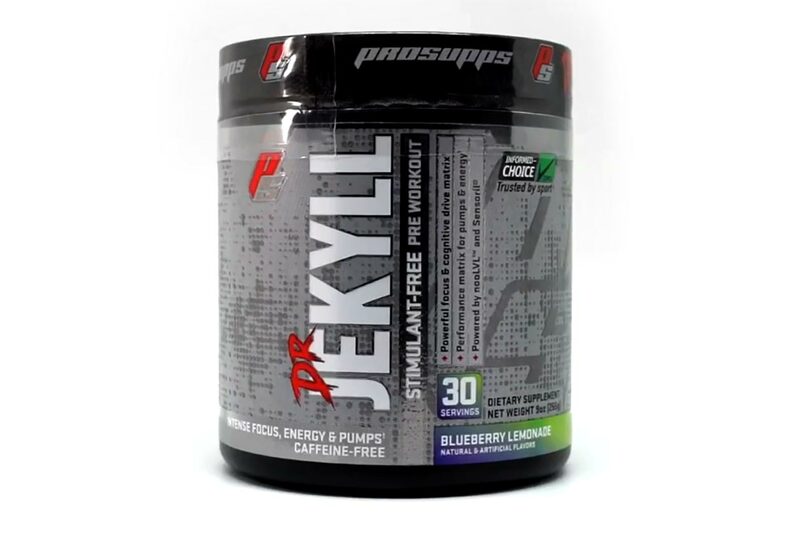 ProSupps is currently promoting its all-new Dr. Jekyll for release soon in the usual 30 serving tub size, and in two flavors with Blueberry Lemonade and Lollipop Punch. As posted about previously, it does look like it’s going to be a big year for ProSupps, with the updated Dr. Jekyll being its first new supplement for 2019.